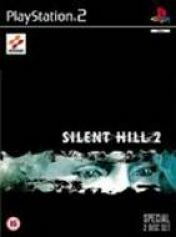 Sviluppato da KCET e prodotto da Konami, Silent Hill 2 è un gioco d'azione e avventura uscito il 23 novembre 2001 per PlayStation 2. My personal take on the haunting yet calming piece, 'Promise/Reprise' from Silent Hill 2. Questo E3 lo ha vinto Konami. Straight from Sony's archives, a video from E3 2001, where Konami's team introduces Silent Hill 2. The weirdest ending to any of the Silent Hill games, the Silent Hill 2 Dog Ending makes nearly no sense in any way. So yah. Watch it, because it will blow your mind.